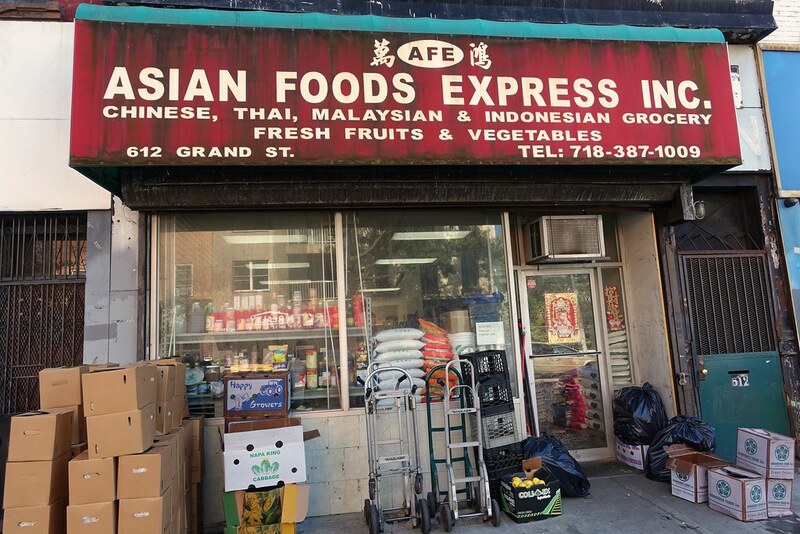 Driving on Grand St in Williamsburg a while back I spotted an intriguing storefront – an Asian grocery store with the words Indonesian and Malaysian on the awning. If you know much about these populations in New York City, you’ll know they are quite small, and the number of extant grocery stores serving them is proportionally tiny. As most Indonesians and Malaysians live in Queens, it piqued my interest further that this store would be here in East Williamsburg. Recently I was in the neighborhood, checking out the new Korean fried chicken restaurant / bar, Mahji, across the street and popped into Asian Foods Express. There were a couple of guys crouching on a floor strewn with vegetable wreckage, their hands deep in boxes in a mostly empty space. I quickly retreated and headed across the street. Mahji opened near the end of September, a few days before our visit. My friend had picked up a 20%-off postcard around the corner at Gimme! Coffee, so spur of the moment we decided to try them out, shelving our Playground Thai plans. Mahji is a large sports-bar type place with tables along one wall opposite the bar, a generic drinks list, and a food menu containing various fried chicken combos and some side dishes. They’ve since added Korean standards such as bibimbap and paejun. The fried chicken was juicy with a crust similar to Bonchon’s, tasty for the first couple of bites but then increasingly monolithic. 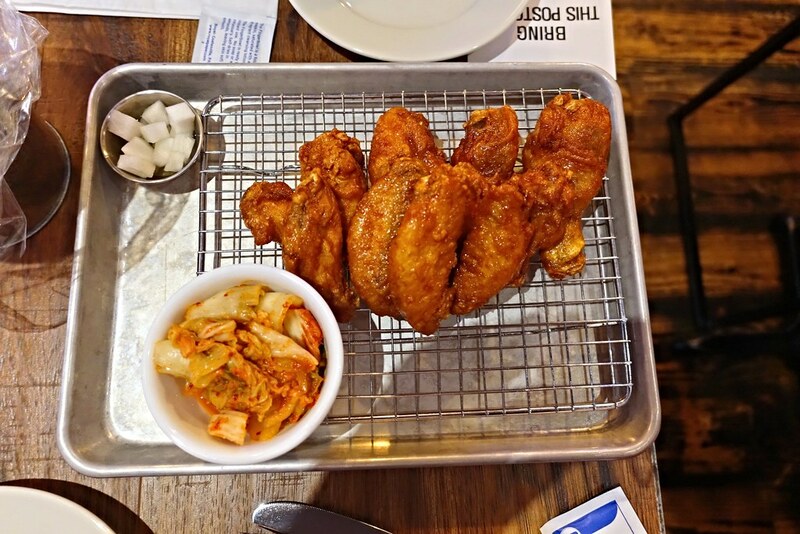 Many people love Korean fried chicken, but I usually can’t get past a wing or two without losing interest. This is not a denouncement of the establishment – their chicken is as good as anyone’s. I was just hoping for a miracle.